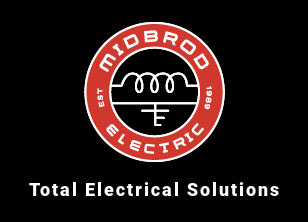 Midbrod Electric has a complete line of vehicles and tools available to make our jobs safe, efficient, and more enjoyable. In the end, these tools equal direct savings for you, our customer. Our full fleet includes bucket trucks ranging from 30’ squirt booms to 45’ working height equipment rigs. We also utilize service vans, portable generators for emergency power failure response and temporary power solutions. Job trailers, construction lifts, directional boring equipment, trenching equipment, and much more are all available to get the job done right. Contact us now to experience our service. It’s electric.